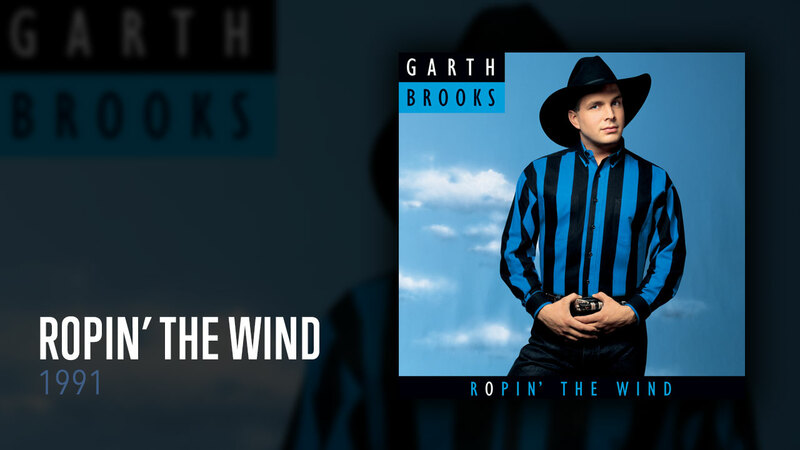 ROPIN’ THE WIND – RIAA certified for sales of over 14 million units, ROPIN’ THE WIND was the first album in history to debut at #1 on both the Billboard 200 Top Albums chart and the Billboard Country Albums chart. It also earned Garth his first GRAMMY® award in 1992 for Best Male Country Vocal Performance. Although it was known as “the son of NO FENCES,” ROPIN’ THE WIND would turn out to make the most noise of any Garth album. With the help of the #1 singles “Shameless,” “The River,” and “What She’s Doing Now,” ROPIN’ THE WIND quickly rewrote music history and become Garth’s second album to sell more than 10 million copies. Also, ROPIN’ THE WIND, NO FENCES, and GARTH BROOKS occupied the #1, #2, and #3 slots on Billboard's Top Country Albums chart for 11 consecutive weeks in 1992. This was an unprecedented achievement that has yet to be repeated! While ROPIN’ THE WIND held the #1 position on the country albums chart, the #2 and #3 albums were NO FENCES (at 52 weeks) and GARTH BROOKS (at 123 weeks), respectively.